Our Charms are the Perfect choice for Your Custom Paracord or Other Craft Projects. Comes with Clear Epoxy Stickers for that Domed 3D Effect! Just put the sticker over your Artwork/Image and then glue to charm. Charm measures 28mm in length X 14mm in width. 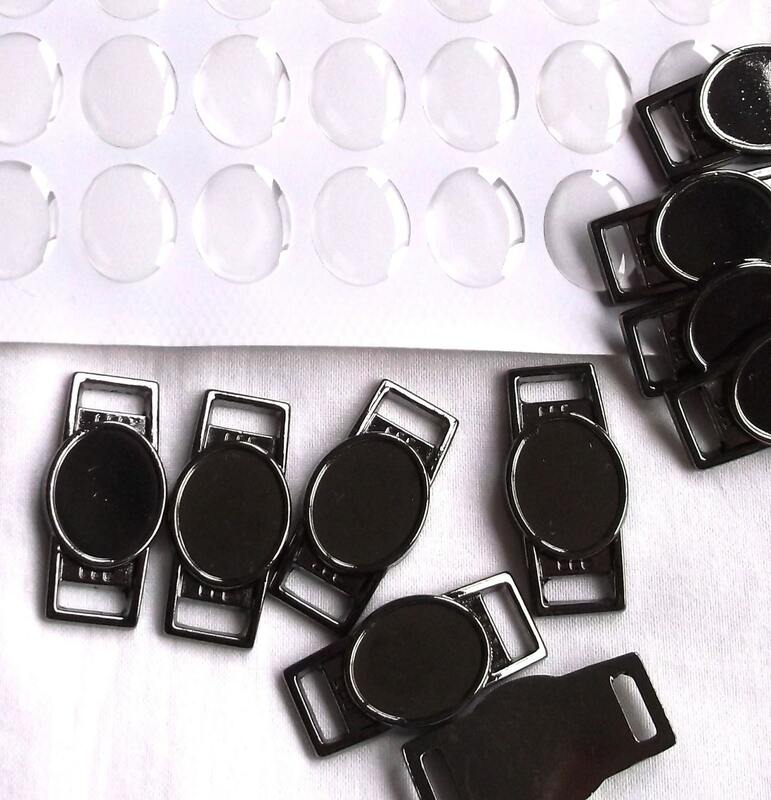 The oval area where your picture and the epoxy sticker goes measures 16mm in length X 12mm in width. Check our other listings for Silver Charms and great pricing on Paracord Too! Shipping info: Shipping will be provided by USPS. Shipping is usually done by next business day (excluding weekends & holidays). We do not ship to APO address, Canada or outside of the U.S. The adhesive separated from the epoxy sticker and looked very unprofessional. Returns for a refund are offered however the original cost of shipping will not be refunded, even if free shipping is offered.